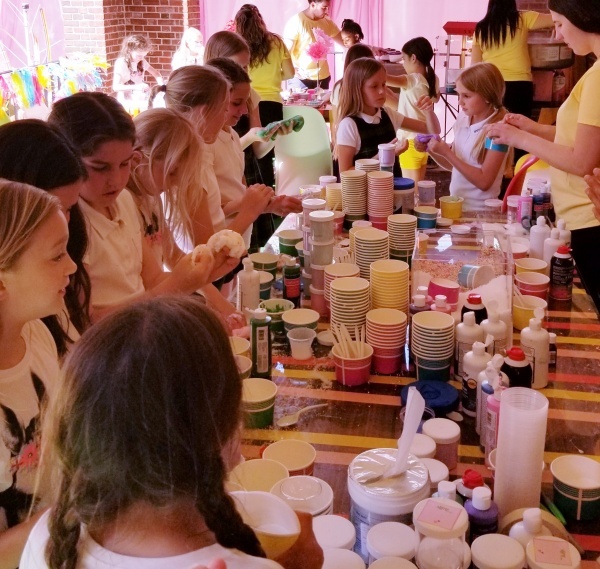 SLIME Party, Emoji Party, Friendship Bracelet & Lanyard Making, Arts & Crafts & More! Learn to make your favorite friendship bracelets and lanyard stitches. We offer many amazing themes and party packages to choose from. Emoji, Princess, Pajama, Flip-Flops, American Girl Doll, Slime Party. 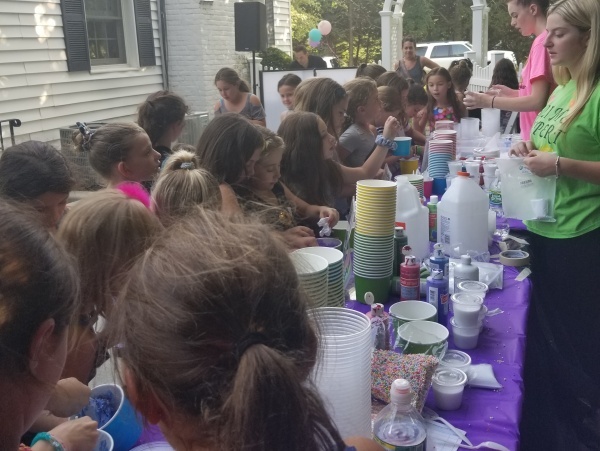 We will customize any birthday party to fit your needs. Looking for a home party? We can travel to you! Make string bracelets, Lanyard projects, breaded necklaces and bracelets, candy necklaces, decorate a tiara, make sand candy necklaces, Emoji pens, lanyard pencils, lanyard bookmarks. 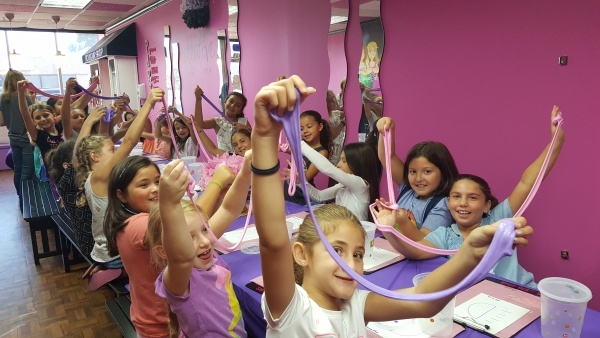 We offer a special discount for the Girl Scouts and for special needs classes. 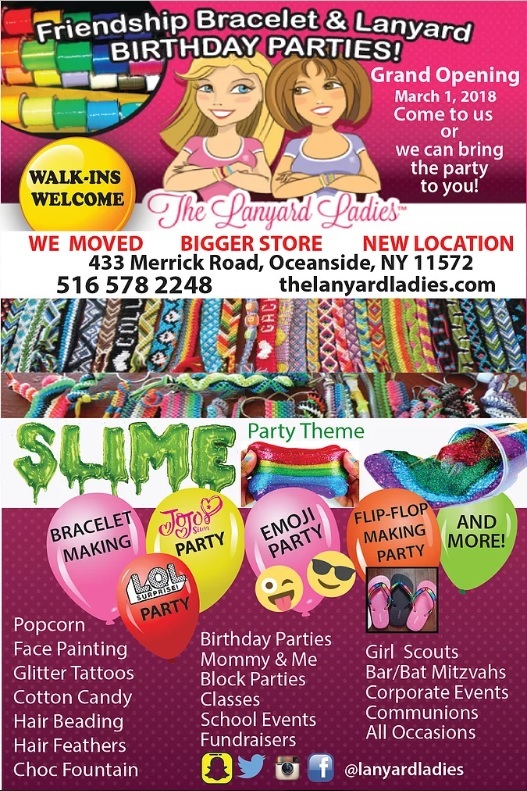 Learn to make your favorite bracelets and build friendships at the same time..Check out our website www.thelanyardladies.com or call to book today! 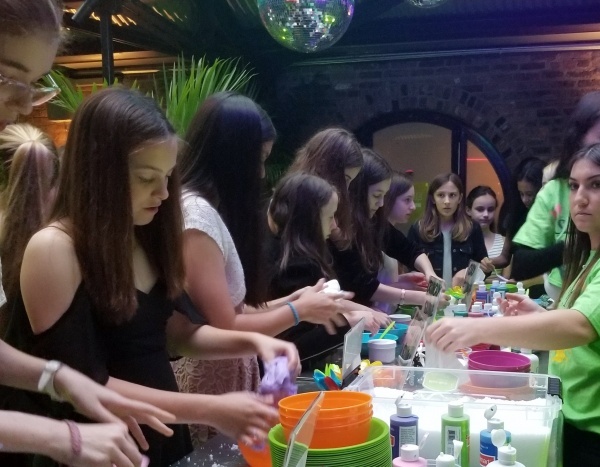 516-578-2248Having a Communion, Corporate event, School event, Bar/Bat Mitzvah? 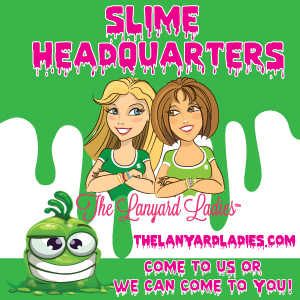 Have The Lanyard Ladies come entertain your guests with their Slime Station. A giveaway like you've never seen before! Your guests make unlimited Slime. Choose any color, All supplies included. personalized containers. All safe ingredients. Make fluffy, gooey, crunchy, clay or snow slime. Add beads, gems, jewls and more! The most unique station at your next event or birthdya party!